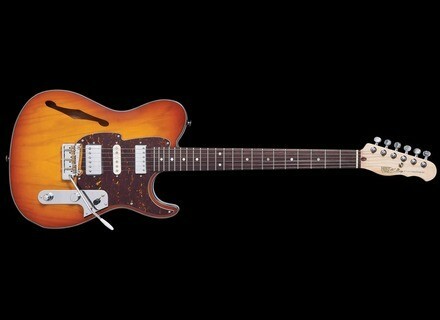 Country Squire Semitone De Luxe - Honeyburst, TLC-Shaped Guitar from Fret-King in the Black Label series. Fret Kings adds to its Black Label series two new Country Squire Semitone Special and De Luxe semi-hollow guitars. The new Fret King Country Squire Semitone Special and De Luxe are Stratocaster-style semi-hollow guitars with one F hole on the top. The price of the Country Squire Semitone Special is £649. The Country Squire Semitone De Luxe retails for £699. Quilter Labs launches the Aviator guitar amps Quilter Labs announced the availability of their new Aviator guitar amp series, which features three combos.